Artist, art director and deep lover of the humankind. Yesterday in Barcelona; today in New York; tomorrow is a long road to explore. My visit to my friend's flower farm in upstate New York always manages to clear up my head and soul and find peace. A very needed break when living in such a place as New York, which is not the easiest place to engage with those feelings of expansion and renewal that green hills and blue ample skies can give. It is also a reminder of how other lifestyle options are possible, different to what we are so used to...Observation, stillness, and attention to the little things come to light. I am preparing to move back to Europe next month and I have been trying to look at things, spaces, and people that have been part of my everyday routine in the past two years in a new and refreshed way; I'm trying to give it all that special value of when you see something for the first time. 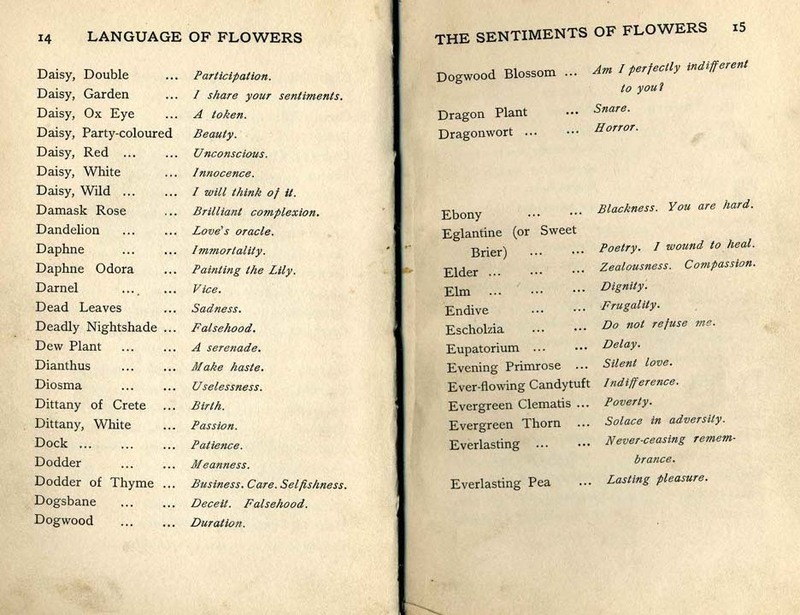 A book I am very excited about: "A Victorian Flower Dictionary." I have been interested in the secret meaning of flowers every since I read "The Language Flowers" by Vanessa Diffenbaugh when I was a teenager. I have always been fond of using flowers in different ways to send messages. My dream would be to have my own little flower store one day, a space where one could cultivate that language and humanity with others. I surprised myself rediscovering the beauty of old traditions back in my home country, Spain. My friend recently visited this small little town in Toledo, central Spain, while they were celebrating the Catholic festivities of Corpus Christi. The whole town dresses up in the traditional costumes and they meticulously dress up the streets, building the most precious of altars on the house fronts using patterned carpets and embroidered fabrics. It is interesting how much easier it is to see the magic in things from afar... I guess I do come from a very special place ! My friend had a surprise party for her boyfriend the other day. I hardly knew anyone who was there but decided to go anyway. 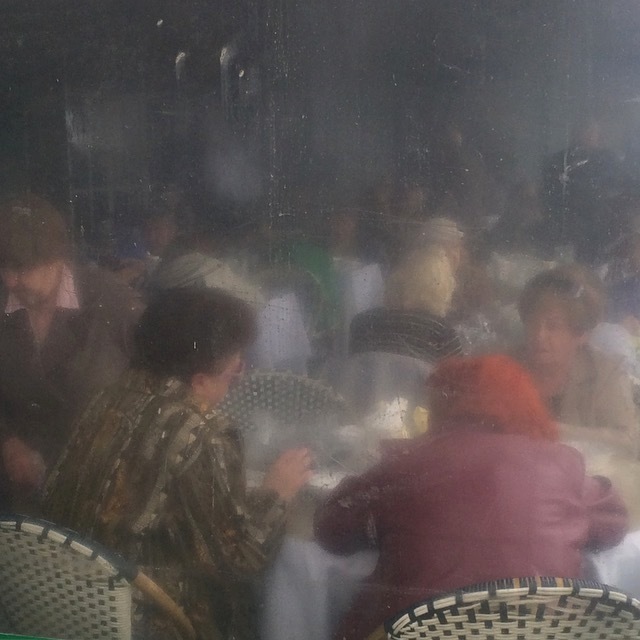 After a while, me and three more people (all strangers to each other) were sitting around a table and ended up having an hour-long conversation after which I felt closer to them than I often feel to people who I've known for years! We spoke race and insecurity, education and happiness — but most of all about the difficult but necessary challenge of answering today's hostility with kindness. I have been going back to that conversation in my mind ever since, trying to remind myself to be more like an open book with strangers. Being genuine and curious with what/who surrounds us is such an attractive and inspiring quality, and opens endless possibilities. I went to this Pharoah Sanders concert in Prospect Park with my friend. The forecast was rain and storm but we still went. Once we were there we met with another couple — she was on her last month of her pregnancy and was blooming, ready for it all. The rain started and we opened our umbrellas as we were nibbling on our snacks. It started raining more and more and next minute it was pouring. It was really special to see all these families sitting down with their open umbrellas, soaked, smiles on their face and not letting the weather discourage them. Will never get tired of sporadic visits to Brighton beach. My perfect place for people watching and to get inspired. It feels like I go back in time or like I am inside a movie. It has been a month of goodbyes. I saw my friend a couple weeks ago before she left to LA, without knowing when/if I will see her again. We shared a mint tea in this tiny quiet coffee shop as we were talking about relationships, insecurity, and life projects, as well as being self-forgiving and being OK with where we are, here, right now. And patience...she then pulled out her camera and, as she explained some of its functions, she took my picture. I then did the same with her. From the cafe we went to this tiny secret neighborhood garden, full of rose bushes and peonies in bloom, and magical little corners where birds seem to have found their paradise... We sat by the pond and shared words and silence. I have Khalil Gibran's "The Prophet" by my bedside to open randomly everyday and read whatever piece of advice is there waiting for me. For summer I like to pick a longer and more dense book to read than I would usually do throughout the rest of the year, as I tend to have more time. I think it is about time for me to read "Anna Karenina." As for movies, I enjoyed discovering some of Agnès Varda's California movies earlier this month. No matter what it is she is up to she never fails to put through her characteristic note of humor, which is always so refreshing. I have also been looking closer at the works of Greek filmmaker Theo Angelopoulos and been very inspired. I have been working on this idea of having regular women gather around a creative practice through which the fragile and vulnerable are celebrated and nurtured. I put together a first one earlier in the month, and planning on another one early July...baby steps, but I am excited to see 'La salon' grow and let it be a project through which I can be inspired and inspire others to be a more gentle and compassionate version of ourselves. Besides, it's an excuse for me to create and see that creativity serve a real purpose. Some of the altars built for Corpus Christi festivities in Lagartera, Spain.